An accomplished wine educator, wine consultant to hotels, wine writer, wine judge and a Wine TV broadcaster, Sonal has numerous wine-related pursuits. She is currently Wine Director – Wine & Beverages at ITC Hotels, India’s second largest chain of luxury hotels with close to 97 hotels across various cities in India. Sonal has been featured among the Top Women in Wine in India by the Indian Wine Academy, and has also been listed among the Top 50 Most Powerful Women in Indian Luxury by BlackBook in 2015. Sonal has also recently achieved her Master of Wine, the first person in India to do so. We asked her about her career, becoming the first person in India to complete the Master of Wine programme and her thoughts on the future of the wine, spirits and hospitality industries in India. What originally brought you into the wine industry? I used to be Director of National Sales for a multinational Fortune 500 company, but food and wine have always been of interest to me. While in my more “corporate” career, I began to see the opportunities that existed for the, then nascent, Indian wine industry. Plus, being married to a British national has meant I spent many pleasant evenings in the UK enjoying a bottle of wine and I wondered if India could have a similarly vibrant wine culture. So I decided to make a strategic shift in my career, and explore the fascinating world of wine as a professional. You founded “Sonal Holland Wine TV”, India’s first digital platform dedicated to wine. How has this been received by wine enthusiasts in India? While internationally there are a few well known wine broadcasters (e.g. Gary Vehnurchuk from the USA and Jancis Robinson from the UK) I felt that they were more likely to appeal to markets that already had a strong wine culture. India is really just starting on its wine consumption journey, so wine content in India needs to be adapted for this audience. Whether it is how to open a wine bottle, or best wines to pair with Indian kebabs, or how to choose wines that will make the perfect gift, at Sonal Holland Wine TV we’re gearing content valuable to them. Example of Sonal Holland Wine-TV's video: "How to Swirl wine in the glass." What lead to you pursue the WSET Diploma, and ultimately become a Master of Wine? I never wanted to pretend I knew what I was talking about and I wanted to back my career up with solid qualifications and credentials. WSET with its stellar reputation in the field of wine education globally, seemed the obvious choice for my early wine education. However it was always my aim to be India’s first Master of Wine, right from the time I set foot in the wine industry. In order to make this ambition a reality, I embarked on a journey of acquiring top wine qualifications, ahead of most others in India. I enjoyed learning with WSET immensely and found that the progressive design of the various levels allowed me to develop my knowledge and understanding of the wine world in a structured manner, preparing me for my next step, the MW program. 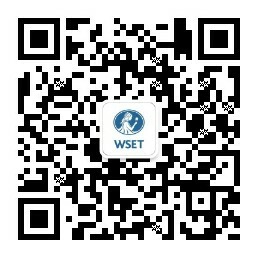 Shortly after I achieved my WSET Diploma in 2010, my application for the MW program was accepted. Anybody pursuing the Master of Wine cannot afford to be casual about their passion for wines. As the first person in India to achieve the MW, what have been your biggest challenges, and opportunities? As an Indian on the program I was at a perceived disadvantage, the limited availability of wines and tasting opportunities in India made it very difficult to learn extensively about wines from around the world. To gain first-hand global knowledge of wines required a significant capital outlay, dedication of time and a great deal of self-motivation. I travelled extensively - to meet viticulturalists and winemakers and to attend international wine trade shows and fairs. I’d take every opportunity to taste wines blind and practice writing accurate tasting notes. So much time spent travelling also meant being away from my home and family for prolonged periods. I have missed my husband’s birthdays as well as my daughter’s 2nd and 4th birthday. As a woman and as a mother, this sacrifice weighed a lot on my mind, but it also strengthened my resolution to become a MW, to justify the sacrifices and the time I had spent. My family has always supported me and pushed me along throughout, making it all easier to do. The hard work was worth it. Being offered a role of a Corporate Head – Wine & Beverages for ITC Hotels, India’s second largest chain of luxury hotels, was further testimony to the fact that there are opportunities for qualified women in top leadership roles in the Indian wine and spirit industry. I have also met some fantastic people during my MW and WSET Diploma journey, and made friends from all over the world. I have had the opportunity to visit some of the best wineries and estates, only to be welcomed and treated to great food and to vintage wines that are older than me. It can sometimes be surreal and you feel a bit spoilt. What would be your advice for anyone else attempting the MW programme? The MW program is essentially self-taught and requires a high level of self-discipline and expertise, it is vital that you have significant knowledge and experience of the wine world prior to embarking on the MW journey. WSET Diploma equipped me with this knowledge and I found that I was able to adapt to the MW learning and examinations much more easily with this backing. But I would definitely say go for it! It has been the most exhilarating journey so far. The courses demand the very best out of you, and help you reach a level of academic excellence in wines like no other. The MW examinations test your theoretical knowledge in wines and tasting skills with a fine-toothed comb. Anybody pursuing the Master of Wine cannot afford to be casual about their passion for wines. The journey will seriously try your patience, demanding commitment and sacrifice at every stage, but in turn, will reward you with a tremendous sense of gratification, pride, credibility and confidence. Sonal's first TEDx talk "How to be a Winentrepreneur - Learn from the Master." What do you think will be the biggest changes over the next 10-20 years in the wine, spirits and hospitality industries in India? Over the next 10-20 years, there will be an influx of international luxury hotels chains in India. This will increase the demand for a skilled workforce. The importance of the alcoholic beverage category will continue to strengthen within the Food & Beverage space as it gets more competitive. Beverage experiences will become the key differentiator for the hospitality trade. This will in turn put the focus on people who have the requisite wine and spirits knowledge and training. There will be job opportunities across the hospitality, retail and airline industry, at various levels ranging from sales, operations and leadership. With easing regulations and taxation laws, India’s consumption of wine will grow exponentially and India will have a stronger presence on the global wine map. Foreign investments in the industry will become more commonplace as Indian wines improve in quality and become available globally. India will be at the forefront of wine conversations around the wine world! Sonal Holland MW is a wine educator, wine writer, wine judge and a Wine TV broadcaster. She is also Wine Director – Wine & Beverages at ITC Hotels, India’s second largest chain of luxury hotels.